Her new novel, Spinning Silver, has magical creatures—demons, too—but like her Nebula award-winning novel Uprooted, it is based on a fairy tale rather than on historical events. Its heroine, Miryem, is the daughter of an unsuccessful moneylender. She knows the Rumpelstiltskin fairy tale and resents it. With her family about to starve, she takes over the family business and becomes known as the woman who can turn silver into gold. Then she catches the attention of the Staryk, a regal creature who inhabits the woods and enters into a dangerous contract. 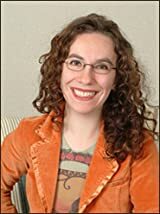 Goodreads correspondent Mary Pols talked to Novik about how she used Rumpelstiltskin as a launching pad for her novel, the tricks she plays on herself to write—including embracing procrastination—and why she still relies on the fan fiction community to help her with the creative process. Goodreads: You published a story called Spinning Silver in the 2016 anthology The Starlit Wood: New Fairy Tales. That was also a retelling of the Rumpelstiltskin fairy tale. What drew you to that story? Naomi Novik: When I was invited to participate in the anthology, each of us had to choose a different fairy tale. As people took them, the list got shorter and shorter. Which was good because there were too many choices. Then as it started to narrow, I saw Rumpelstiltskin and realized I had a story in me for it. The voice of the narrator, Miryem, came to me very quickly. But as I sidled past 11,000 words, the story was trying to open as opposed to closing up. And I had a deadline. So I simultaneously figured out how to end the story when I was thinking about extending it into a book. GR: The novel and short story feature the same characters and circumstances, but very different endings. How did that happen? NN: It is radically different. They are both true stories, but I think it illustrates that the right ending for a story changes as it grows. As you tell more. What was the right ending for the short story was not the right ending for the book. I come from a fan fiction writing background—that is how I started writing—so I don't believe in canon in general, even when it is my canon that I am creating. It is not that I took the short story and turned it into a novel. It is that I was writing them both on the same path and their paths forked. I forked. I went down the path to the short story, and I sent it to my editor, Anne Groell at Random House, and said, "I think there is a book here." GR: What do you tell fans of Uprooted who are hoping that Spinning Silver is a sequel? NN: It is definitely not a sequel. Uprooted was from procrastination, actually. I was supposed to be working on Blood of Tyrants [the eighth in the Temeraire series]. I wrote nine books in the Temeraire series. It makes it progressively harder and harder to land the ending. And I believe that sticking the dismount is really important. I really want the ending of the work to feel satisfying in a way that is very hard to do if you don't have control over the whole story as you are writing the ending. That is really why I have shifted to writing these standalone books. Then it is complete for me. It is not that I would never write a story about Agnieszka and the dragon again. I completely understand the desire to see more of them. If I knew what was happening to them, I would. If I forced a story, it wouldn't be the story that they wanted to read. Spinning Silver is in the same universe as Uprooted, only in the sense that fairy tales are taking place in this sort of fairy tale universe, where magic doesn't obey consistent rules and you can't plot the countries on the same map. I think of it as a sister book as opposed to a sequel. GR: Let's talk about process. Starting with, where do you write? I read that you used to work at the Metropolitan Museum of Art's café, which seems like a place you might be recognized. NN: You know that has never happened to me. Occasionally what happens to me is I will buy miniatures on eBay, and the seller writes back to me, "Are you Naomi Novik who writes those books?" It's only fellow geeks. I don't think my face is that recognizable, and I hope so, because that is a level of recognition that I don't particularly desire. A couple of years ago now I got a treadmill desk, which I suspect is literally putting years on my life. Unfortunately, it is not portable, so I now primarily work at my office at home. I walk routinely anywhere from five to eight miles a day while I am writing. It is pretty magical. I'm walking at a pace of 1.6 miles per hour. It's not like I am actually jogging or dripping sweat; I am just moving, basically. My process is I have to find a new process for each book. I am always trying to get in a state of flow where I just work for hours and the words just come. I am constrained by the hours in which I have childcare. [Novik has a young daughter.] I bitterly lament the loss of my former schedule. [Laughs] I would go to sleep at 3 a.m. and wake up at 11, and that was so nice. Those days are gone. The older I get, the more I recognize that the things I would sometimes get frustrated about—the procrastination that we all do, like I check The Times or Tumbler, or read like 12 Wikipedia entries—I increasingly recognize as a necessary part of the creative process. I try to mentally allow for that. There are people who can sit down and go from zero to 60 and start writing. I am not one of them. I need to be checking the internet to see if there is anything on fire that I can do absolutely nothing about. That is all sort of laying down the topsoil. It's all nourishing the ground. I also have to have a new trick for each book. If it is a trick that I have done before, then my brain is like, "I know what you are trying to do." GR: Wait, what? What kind of tricks? NN: The Pomodoro Technique is one of them. It's 25 minutes of writing and then five-minute breaks. It is named after those little timers that people use in the kitchen. For Spinning Silver it was a combination of the Pomodoro Technique and Habitica. That's a pretty aggressive site that helps you form habits. It is sort of gamified. You have a tiny pixelated avatar, and you get gold pieces to buy armor, and you go on quests and fight monsters. It's adorable. GR: Gold pieces! They figure in Spinning Silver; did your anti-procrastination method contribute to its plot? NN: [Laughs] That is so deep in my foundational DNA that it was not new from Habitica. I have been playing D & D [Dungeons and Dragons] since I was ten. GR: You were also a very precocious reader. By six you had read J.R.R. Tolkien's The Lord of the Rings, right? NN: Yes, but large quantities of it clearly went over my head then. I would reread Tolkien almost every year for a long time. I vividly remember recognizing new things and new pieces of the story that I had missed, even when I was in my late teens. I feel like books can grow with you. It makes me aware of how much of a book is what you bring to it. GR: Another literary inspiration of yours is Ursula K. Le Guin, who died earlier this year and who blurbed Uprooted. You wrote a poem about her that ran in The New York Times a few days after her death. How did that unusual eulogy come about? NN: When she died, first of all, I was completely shocked. In some back corner of my mind, she was permanent. I had recently been reading Omelas [The Ones Who Walk Away from Omelas] and writing stories that were related to Omelas. It was sort of sitting in the back of my head for several months. Then when it happened, The Times asked me if I could write an essay about her. I sat there. I am not a very good nonfiction writer…. [With fiction] you are making up lies to tell people something true. I am good at that. The problem is, I am not so good at just trying to tell the truth straight out. Truth is too complicated. Truth is too big. I can't find the one true thing I am trying to say. Finally, I started getting some lines of poetry coming to me. The poem clearly wanted to come out. I wrote it down, and I thought it said what I wanted to say. I asked, "Do you want it?" And they said yes…. I hope it resonated for people. GR: You mentioned childcare. You and your husband, Charles Ardai (who founded Hard Case Crime), have a daughter who is seven. How has your writing life changed since becoming a mother? NN: Children have immediate and urgent needs that cannot wait. There is a mental background process always running: Do they need new socks? Where are they going to be next week? But at the same time, it is the sort of thing that ties you to other people and the world and your community. I couldn't have written Uprooted or Spinning Silver [without becoming a mother]. GR: A Goodreads reader described Spinning Silver as being material wealth versus emotional wealth. True? NN: Whenever a reader says, "I saw this in your book. Did you mean for it to be there?" my answer is always: Yes. I think that there is a temptation as an author to tell people what they should think about their work that I prefer to resist. When you are working with fairy tales, these are foundational stories in our culture. They are generally read when we are very young and told and retold by many people. They are carrying a lot of weight on them, as a result. So you take that fairy tale and you put it in a blender, along with 20 other things that you have put in, and you get results from it that you didn't explicitly put in. One of things I like about working with fairy tales that are already in the reader's head is that I get to talk to the reader's brain about things that I myself haven't even imagined. GR: Do you remember reading Rumpelstiltskin as a child? NN: I know I must have read it early and a lot because I don't remember a time when I didn't know that fairy tale. I am sure I must have read multiple versions of it. My experience of it is similar to Miryem's. Rumpelstiltskin in particular is a tough story. It clearly has anti-Semitic elements. That is why it suddenly jumped out at me from the list. It hooked up to my own family's experience on my father's side. [Novik's parents emigrated from Eastern Europe before she was born.] That pressure that Miryem feels in the book is a pressure that they experienced—that sense of being oppressed by stories around you. Miryem's gift is that she does recognize that it is meant to hurt. GR: Who is your first reader? NN: My husband is one of them. He is a top-notch editor. That is a very lucky thing to have. I have also built up a posse of beta readers in fandom. Those are the same people who read my fan fiction and are the same people I turn to when I am writing pro[fessionally]. For me it is all the same. The pro stuff is just literally the stuff I can publish commercially without going to ten lawyers. But creatively, it is all the same. I have two close friends who read Uprooted with me as I was writing it. I have a really good friend who is a rabbi who was reading for me and giving me feedback. That is the magic of the Fannish Community. But it changes with each book, how desperately fast I am trying to write. Sometimes when I am really trying to get it out, then I tend to hermit it in. It might be people I am hanging out in chat with that day, often based on their schedules. And it is people for whom I do the reverse; I edit their fan fiction. It is a reciprocal relationship. GR: What are you reading now? Or do you avoid reading while you're writing? NN: I do read while I'm writing, but writing has seriously hurt my reading time. I am often reading nonfiction. With the Temeraire series, I was constantly reading history books, trying, just to give myself that level of historical detail. But I didn't want that kind of concrete precision in Uprooted and Spinning Silver. Lately I've been reading Rena Rossner's The Sisters of the Winter Wood, which is another kind of Slavic-inspired fairy tale. And she is using poetry as the point-of-view narrative voice of one of her characters. I thought that was great. 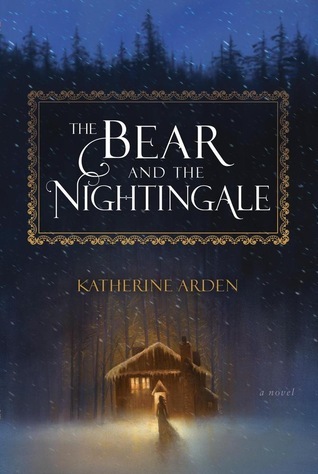 Also Katherine Arden's The Bear and the Nightingale [a debut that's been compared to Uprooted]. 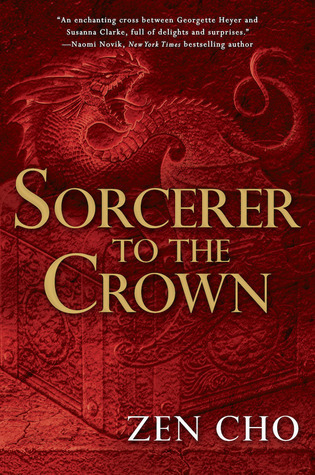 And Zen Cho's Sorcerer to the Crown. Basically anything Nora Jemisin (N.K. Jemisin) writes. GR: Filmmaker Peter Jackson, who did such an amazing job with adapting Tolkien's Lord of the Rings trilogy, bought the options for your Temeraire novels back in 2006. What's going on with his plans to adapt them into films? NN: The Temeraire options are back in my hands. They expired. I remain incredibly grateful to him. As a writer it is very bad to get hung up on expectations with Hollywood because it is completely unpredictable. Even in publishing it is hard for things to happen on time. Then you take something like filmmaking, where you have got literally hundreds of people involved and it becomes exponentially harder. I do the piece that I can control. Thanks for sending the link to this interview. I read 29 books last year, and UPROOTED was the only book I gave 5 stars. I'm pretty stingy with stars. I'll definitely add this book to my list. I do like Naomi Novik. I feel I'd better read Sisters of the Winter Wood now as it's the only one on this page that I'm unfamiliar with and I've loved all the others. I was looking forward to a Temeraire adaptation, but I have to admit I'm quite glad the options expired - after the Hobbit movies, I don't think Peter Jackson would be the right person for the job. I hope we get a Temeraire TV series one day - it could be like Game of Thrones meets Poldark. Thanks for sending me the link to this interview. I enjoyed reading it. I loved Uprooted immensely and I am truly looking forward to reading Spinning Silver. Definitely one of my favorite "flavors" for pleasure reading. I hope you continue to add to the "family" for these fairy tale retellings. Smiles! 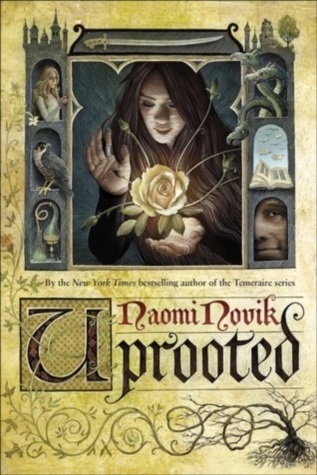 I read Naomi Novik's previous book, Uprooted, and honestly it is one of my absolute favorite books of all time. I love stories that take mythology and fairy tales, then add depth to them which isn't possible in the simplified children's versions. I have preordered Spinning Silver and look forward to reading it as well! I read Uprooted and it just spoke to me in ways no recent book had. And the slavic influences were like fine clothes for me. Great interview and can't wait to read your next book! Thanks to the link for this interview. It was great to get into the thoughts of this great author. I’m a HUGE fan of her Temeraire series, especially the early volumes. I haven’t tried Uprooted yet, but I bought a copy so I got it handy when I want to scratch my Novik itch. Great interview! Uprooted is 100% in my top 3 best books ever. I always love to see the minds behind the masters. Thanks! This a very interesting interview, makes me appreciate Naomi even more. 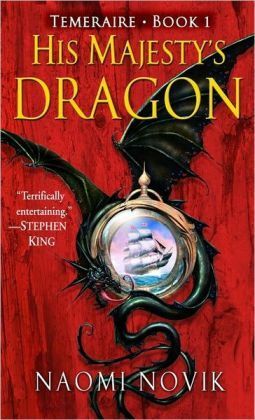 I love the Temeraire series and would love to read her other books! A great interview. I hadn't read any of Naomi's Temeraire series before reading Uprooted so I had no preconceptions of what I would find. What I did discover was an enchanting tale that was expertly told. I happily recommend it every chance I get, and I even offered a "blurb" for it. Not sure if Naomi received the blurb, or whether she already had so many that mine wasn't significant enough to use, but anything I can do to help more people read this book I would! Thank you for the link to this interview. I really love Naomi's books and the interview was very interesting to read. I will have to get both Uprooted and Spinning Silver and a couple of the others mentioned - so many books and so little time! Great interview, thanks for the link. I loved Uprooted, so Spinning Silver is going on my list. I hope there will be an audio book version. Love Temeraire series. My daughter and I listened to it in the car. Anyone know how to access Novik's fanfic? I read Uprooted right after completing The Bear and the Nightingale and I loved both. Spinning Silver and The Hundred Thousand Kingdoms by N.K. 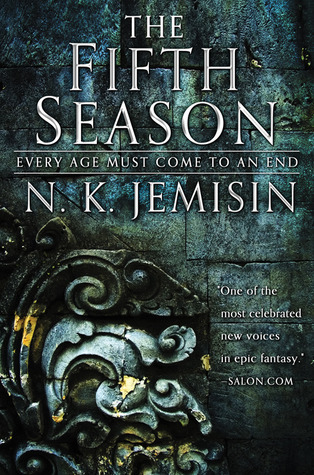 Jemisin are definitely on my to-read list. What a lovely interview! While I had known about Temeraire series, I have only read Uprooted and I fell in love with the story and the writing. I can't wait for Spinning Silver to be delivered. I really loved “Uprooted”, it is one of my favorite books. I can’t wait to read “Spinning Silver”, I’m curious 😍 Thank you for this interview! Thank you Naomi for sharing your comments and processes. I'm sorry to hear there will be no Temeraire films for a while. Gael wrote: "Anyone know how to access Novik's fanfic?" Love hearing from writer's about the behind scenes of books I've loved. I couldn't stick with Temeraire but I absolutely adore Uprooted and read it every year with fresh eyes. Thank you for sharing the interview, it was engaging. You will LOVE Spinning Silver! Such a wonderful book - I read it twice in one week :-) . I remember reading Uprooted while traveling abroad to Uni, and I could barely lift my gaze from the book to check for the right track at the train stations. It became one of my favourite reads, was completely absorbed by it! Thank you for recommending me the interview. Very interesting and inspiring! Spinning Silver is up next, I have no doubt it will become another favourite of mine. I loved Spinning Silver. I’d like it to be a series though. Although I understand how cumbersome not having control over a series can be, as a reader, I enjoy knowing there is more to come once I have fallen in love with the characters. So happy to hear she’s a D&D player!